This was the first book that was nothing like the show and not necessarily in a bad way. But there was a lot less "fun" in this story and an overwhelming amount of "bad" for Sookie, so much so that I found myself thinking: Give this girl a damn break already. I was surprised by the strong Were thread this story had and am mildly curious why the TV has chosen to dilute this part of the Sookie Stackhouse series as a whole. While I was rooting for Alcide to be the winner of Sookie's heart in the last book, I'm not feeling that anymore after this one. I foresee him becoming a very angry, dangerous character at this point after the events in this story and Sookie doesn't need anymore of that in her life. 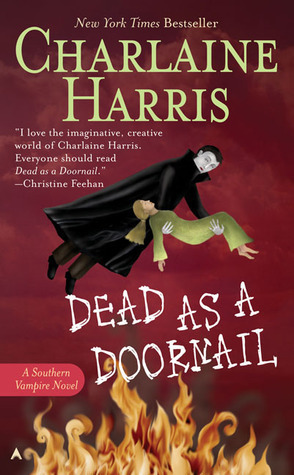 Sign into Goodreads to see if any of your friends have read Dead as a Doornail.